Although the North-east of Italy is known for its Barolo, Barbaresco, Moscato and Gavi, not many people would expect that Piedmont can produce such a wide array of wines made from international varietals. As I made my way from Breil-sur-Roya to Cuneo, I left everything that was French behind me and pondered about what Italy was about to bring forth. In my lifetime, I have tasted a fair amount of wines from Barolo, Barbaresco and other wines from Tuscany, Sicily, and Veneto. A lesson I have learned while scouring the wine world is that just when you think you know something well, you actually do not. Especially when it comes to Italy, the literature present is scarce compared to French wines. Getting accurate information about the wine laws can be difficult especially when the information available can be contradictory from one source to another. There is no other way to learn about Italian wines than to be on the ground. Italy’s system of Appellation Contrôlée is almost similar to France with the exception of an additional category. Starting from the bottom is Vino de Tavola, then IGT, DOC and finally, DOCG. Currently, there are 71 DOCG wines and more than 300 DOCs in Italy. Coupled with the humongous number, there are also legal words which can be on the label such as “ Superiore”, “Classico” and “Riserva”. Vino de Tavola (table wine) Carries the words bianco, rosso and rosato (white, red and rosé) on the label. Can be blended from different grapes from different regions and vintages but the vintage and region is not allowed on the label. IGT (Indicazione Geografica Tipica), Same as France’s Vin de Pays. Used for super-Tuscan wines in Tuscany. More for wines that are not made traditionally in the region but are allowed the vintage and region on the label. DOCG A super-AOC quality that comes with the fascetta on the bottle. It undergoes more stringent evaluation by the government and is allowed to have subregions on the label. Superiore This denotes that the wines are of higher alcohol, usually 0.5% or 1% more than normal and/or it is a wine that has been aged longer, sometimes requirements of reduced yields. Valpolicella, Soave and Bardolino have Superiore. Classico This denotes that the wine is produced in the original, classic region before expansion of the original zone. 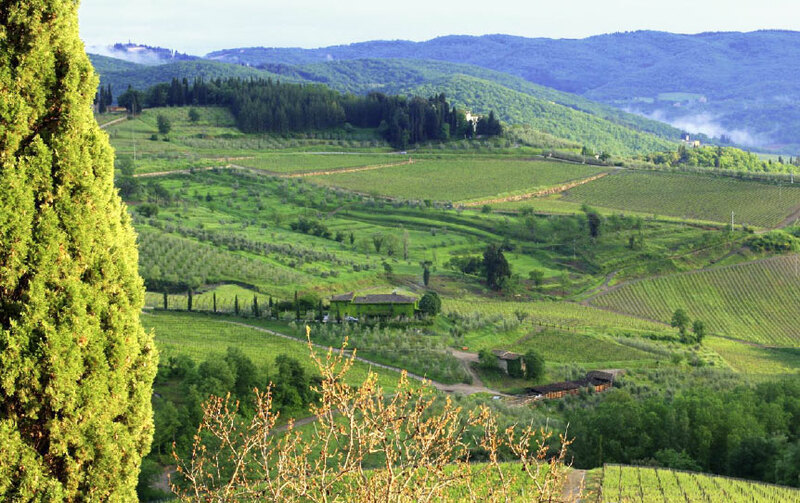 Chianti, Bardolino, Orvieto, Soave, Valpolicella have classico behind their names. Riserva This denotes that the wine has been aged longer than the required specification, usually one to 2 years longer. Italy is a country which has over 10 degrees of latitude from north to south, offering a huge diversity of climates with over 350 indigenous grapes to choose from. For France, each region dictates what can or cannot be grown in the AOC system. For Italy, we have to look at which classification does the grape in that commune falls under. For example, I can choose to make wine from Nebbiolo grown in Barolo, and bottle it under Barolo DOCG or Langhe Nebbiolo DOC because the commune may fall under those classifications for that grape. Moreover, what falls under DOC or DOCG may not be in a contiguous piece of land. For example, Moscato d’Asti can be made not only within the province of Asti, but the grapes can come from certain communes in Alba and Roero, which are next to Asti. Then, there are parts of the DOC/DOCG that fall in the traditional zones before expansion for production or those that fall outside the traditional zone but are on hills just like Soave. In short, if you think France was hard to figure, try Italy for size. It is complicated so if you are not into the nitty-gritty details, just drink instead of cracking your head. I was thoroughly surprised not only to have come across many wineries that produce international varietals, but was blown away but their quality. Piedmont is an exceptional region because it has convinced me that you do not need old vines and high density plantings to make exceptionally great wine. The international varieties here have their own style which defines minerality and elegance. So delicate are their wines that I believe shipping the wines long distance in containers without proper temperature-control will severely affect the wines’ structure. Producers such as Sciorio, Ettore Germano and Mustela are paving the way towards the future. A wine to really look out for is Nascetta, which is an indigenous grape related to Pigato and Vermentino. The grape was added in 2004 to the list of authorised grapes in Langhe but could only be bottled under Langhe Bianco DOC. Since 2010, the grape can now be labelled as Langhe Nascetta DOC. I was told that there are only around 13 producers that make wines from this grape. The wine comes in a variety of styles. Just like Chardonnay, you can get a mineral version of it or an oak version. Sparkling wines made here using the traditional method also display an elegance, although not as leesy as Champagne, the wine is very good-value for money and equally delicious. The flexibility of the Italian systems permits DOC in red or white blends called Rosso and Bianco DOC. The rule is that Langhe Bianco DOC can contain any white grape of any proportion and Langhe Rosso DOC can contain any red grape of any proportion. Unlike the French system, which dictates that any wine made from grapes not permitted in the AOC has to be declassified as a Vin de Pays or Vin de France, the Italian DOC system does not see the same constraints. 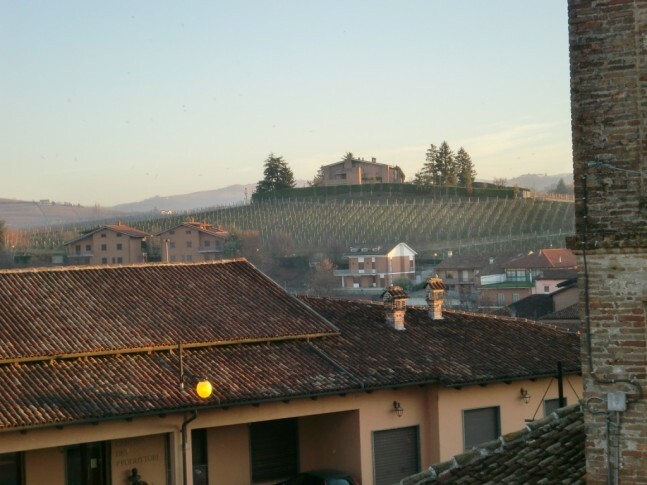 Piedmont is continental in climate, with winters cold enough to get snow on the hills. The best terroirs are those on hills facing south and receiving the moderating influence of the river. The soils which have a high amount of limestone allow some of the best grapes to be grown. The Dolcetto usually ripens first, then the Barbera followed by the Nebbiolo, which ripens at the end of October and is usually the last to be picked. 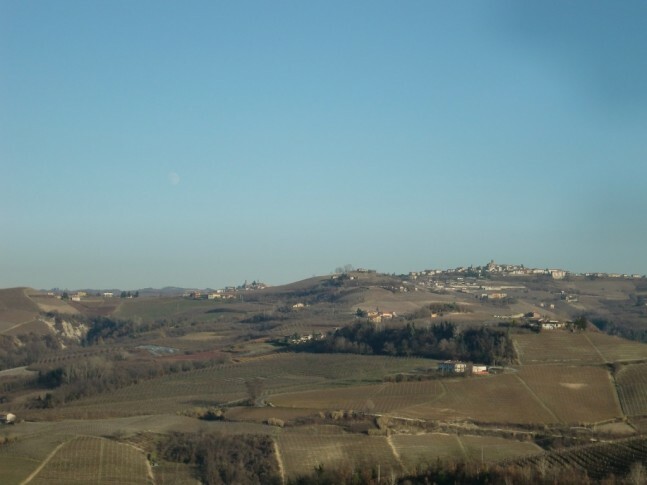 Barbera and Moscato are usually grown in Monferrato, which corresponds to the provinces of Asti and Alessandria. The soils in Monferrato are usually less than 50 % sand and the rest is clay. The percentage of clay increases as you head down south while sand increases as you go towards the Tanaro river. This is the river which separates the hills of Roero to the North of the river and the hills of Langhe to the South and East. Most growers use the cane pruning systems with densities up to 4000 vines per hectare though there are producers who are increasing the density of their plantings. Winemaking has developed quickly over the last three decades since modernism started to set in. Stainless steel ferments are preferred over big barrels. 225 l barrels are now used to age wines. Cellar hygiene has improved. 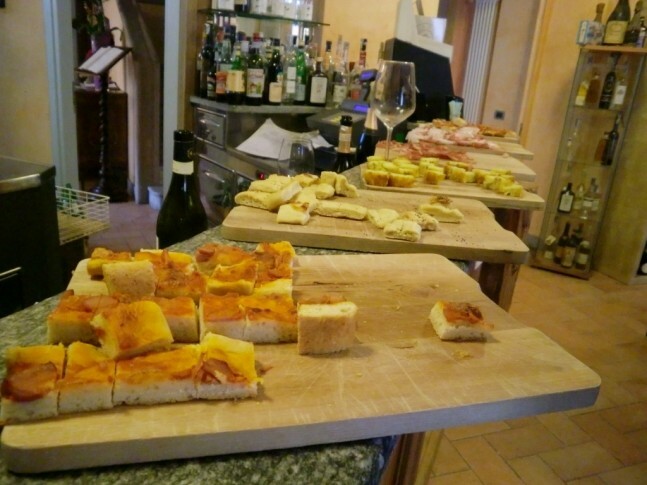 Unlike France, which uses wild yeast, most producers in Piedmont rely on packet yeast to ferment their wines. Nonetheless, the argument that packet yeast is just as good as wild yeast in creating a quality product is backed-up by what I have seen and tasted here. 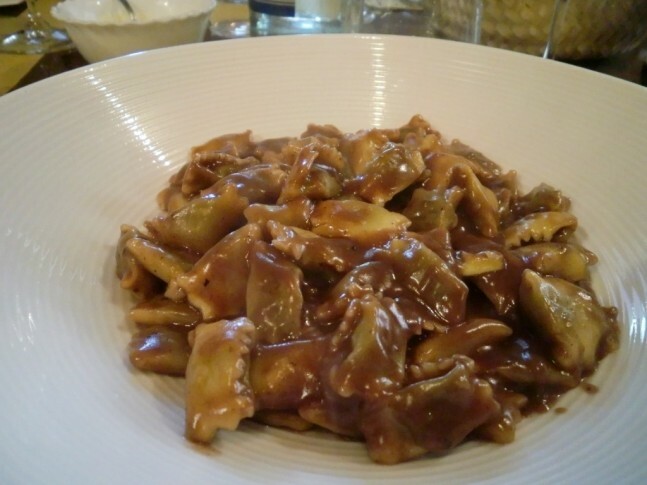 When I thought of Piedmont, I used to think of tradition and rusticity. Now, I think of the future and a people who are not afraid to experiment with new ideas. Barolo DOCG Nebbiolo Red Can be bottled as Langhe Nebbiolo DOC. Barbaresco DOCG Nebbiolo Red Can be bottled as Langhe Nebbiolo DOC. Nebbiolo d’Alba DOC Nebbiolo Red Nebbiolo d’Alba comprises of a much bigger zone excluding Barolo, or Barbaresco. Can be bottled as Langhe Nebbiolo DOC. Langhe Nebbiolo DOC Minimum 85% Nebbiolo, 15% similar coloured permitted varieties in Piedmont. Red Consists of the areas of Barolo, Barbaresco, Nebbiolo d’Alba, Roero and more. Roero DOCG Minimum 95% Nebbiolo. Red Can be bottled as Langhe Nebbiolo DOC. Gattinara DOCG Minimum 90% Nebbiolo. Red This wine is found in the northwest of Novara. Ghemme DOCG Nebbiolo Red Produced in the province of Novara. Langhe Arneis DOC Arneis White Consist of Roero Arneis too. Asti DOCG Moscato Sparkling, medium sweetness. The pressure has to be up to 1.7 bars and minimum alcohol of 12%. Alta Langa DOCG Pinot Noir and/or Chardonnay with maximum 10% other grapes. Sparkling Traditional method used. Dogliani Superiore DOCG Dolcetto Red Has a minimum alcohol of 13%. Dogliani DOC Dolcetto Red Has a minimum alcohol of 11.5%. Dolcetto d’Alba DOC Dolcetto This crosses over to the region of Barolo and Barbaresco too. Diano DOC Dolcetto Red In the centre of Dolcetto d’Alba zone. Langhe Dolcetto DOC Dolcetto Red Consists of a wider region including the communes of Dogliani, Dolcetto d’Alba, Diano. Langhe Favorita DOC Favorita White Usually grown near alba, on the left and right bank of the River Tanaro. It has the relations to both Pigato and Vermentino. Langhe Freisa DOC Freisa Red It is related to the Nebbiolo grape. Piemonte Brachetto DOC Brachetto Red, sweet, sometimes sparkling. Cortese dell Monferrato DOC Minimum 85% Cortese White Grown mostly on the hills of Monferrato. Gavi DOCG Cortese White Located in the South of Piedmont. Erbaluce di Caluso DOC Erbaluce White, sometimes sweet Located in Caluso, NE of Torino. Beppe and Mauro, the brothers who run Sciorio, have a magic touch when it comes to wine. It is very rare in my profession to come across an estate that produces an entire portfolio of wines that blow you away. All the wines produced by them are not only consistent and high in quality, but has given me new benchmarks to reference against when tasting wines that are similar to theirs. As for pricing, I can think of no better deal in terms of price quality ratio. The estate is family owned and they have 6 hectares of Barbera, Syrah, Sauvignon Blanc and Chardonnay. According to Beppe, the estate is not trying to experiment with new varietals in the region but since the 1700s, the grapes already existed here in Piedmont over 300 years ago. 30000 bottles are made per year, putting them in the boutique category. According to Beppe, there are a lot of Nebbiolo grown around the Monferrato region before the phylloxera. The Nebbiolo grapes were a lot more darker then with good tannins but were not good for aging. 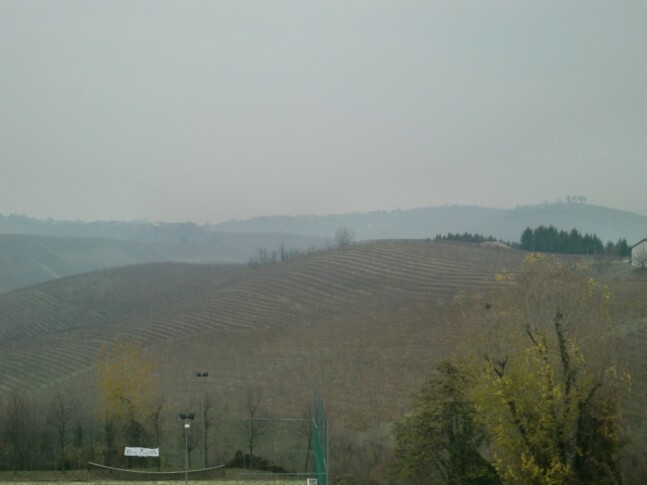 The soils have not change much but the climate is different in that it is warmer than Langhe, which is south of Alba. It is also drier in humidity and there is less water, with less climatic influence from the river and sandier. I tasted their 2011 Syrah which was still in the barrels. It is not bottled but yet I found aromas of light smoke and berries coming out of the glass without swirling. The aromatics have been preserved and the palate is full of leather characters and spice. The 2011 Barbera from the barrels had aromas that made my mouth water and a palate which was juicy, very concentrated and full of strawberries. The estate tries its best to take a natural approach to their wines. The brothers used to grow grass as cover crop in their vineyard but stopped doing so because the sandy soils in their vineyard drains water quickly and the grass only tends to add more water stress to the vines. The soil is ploughed every 7 to 8 years and treatment is done every year to fight aphids using non-toxic chemicals. Beppe likes to use Francois Frere barrels, St Romain, Saury, Boutes, Vicard and St Martin of Allier oak and medium to medium plus toast. Natural yeast is used for fermentation. All the reds and whites do not go through clarification or filtration or stabilisation. Sciorio also makes Barbera d’Asti. Beppe chooses his Chardonnay to be reclassified to Piemonte DOC as he wanted Chardonnay printed on the bottle. Till now, a Monferrato Bianco does not permit the words Chardonnay on the label. Deep yellow colour. The nose is bright, beautiful, aromatic, lifted, peach, sweet corn nose, fragrant, but no barrels, peach, med(+) intensity, very concentrated. The palate has MLF flavours, bright, med acid, high alcohol, stonefruit, peaches, concentrated, incredible power, light mineral, long length, light quince in the back and a fruit finish. This is an excellent wine. I have never tasted a Chardonnay like this before. Very impressed. The wine was fermented at 20°C in stainless steel, and stayed on lees for 3 months, no barrels. Deep gold colour. High intensity nose, fragrant, lifted, lemon peel, floral, earth, pineapples. The palate is concentrated, cedar, lemon citrus peel, caramel, lees, medium acid, high alcohol, very long length, lots of power, complex, light leesy palate. This is a wine that is the equivalent of a Grand Cru. A superb wine. There is so much fruit in there that every other component gets masked. 80% new oak and fermented in barriques, 11 months in barrels, battonage in barrels every week to aerate the yeast when the ferment is slowing down. After that, battonage takes place every 3-4 weeks. The vine density is 3000 vines/ha. Deep purple colour. A cedar flavour even for old barrels, lifted, concentrated, medium plus intensity, leather, lifted aromas, dark plums, complex. The palate is high alcohol, ripe fruit, medium(+) acid, high tannins, drying carpet tannins, black tea, very powerful wine, unbelievable flavours, too complex to describe, meaty, black tea finish. It is a vino rosso, a table wine classification. 39 months in used barrels. Deep purple colour. Light wood nose, lifted, blackberry, so dense, medium plus intensity, blackcurrant, ripe, light VA, fruit has crystal purity. The palate is high alcohol and tannins, very inky and thick, chocolate, very dense, long length, balanced with a sort of Barossa palate. 2003 was the 2nd vintage. This wine comes from Clay limestone soils. There are 10 bunches. Vine. This wine has spent 24 months in oak. This wine can easily go up against some of the best of Barossa. Situated in Carretta which is one of the largest cru vineyards of Serralunga d’Alba, the estate has owned their land for 150 years through four generations. Sergio, who is Ettore Germano’s son, is currently the winemaker and started his first vintage in 1989. The estate is family-run and owns 15 ha of vines of which 10 ha are in Serralunga, which are more clay in structure with some iron and manganese. He was daring enough to purchase around 4.8 hectares of land in Alta Langa in 1995, near the village of Cigliè to produce Riesling, Chardonnay and Pinot Noir. He is the smallest producer of Alta Langhe. In total, there are 13 wineries that own 200 ha of the entire Alta Langhe. Less than one hectare is used for his sparkling wines. Just as the Argentinians believe in the concept of altitude to make wines, so does Sergio, who chose land in the Alta Langa at altitudes of 549 metres with limestone soil. Alta Langhe lies between a height of 450 to 700 metres. He was also one of the first to start planting Nascetta in Cigliè in 2004 when it was first permitted. He is currently experimenting with Sparkling Nebbiolo using the traditional method, which is slated to release soon. I have tasted samples of it and highly approve of it. Sergio is a man full of ideas and is always looking to try something new and creative. Ettore Germano also makes Dolcetto, Barbera, and Nebbiolo from Barolo. He does a little MLF in wood with his Barbera with up to 20% new oak. In 2002, he bought the Lazzarito vineyard for Nebbiolo. He is a proponent of using 25hl barrels for aging and the tonnelier which he uses are Adour, Gamba and St Martin. He uses pumping over instead of roto-fermenters for extraction from the skins. For gentle transfer of juice, he uses Enoveneta which is a gentle pump which mimics that of a heart pump. Pale green colour with micro bubbles. Light grapefruit, cream, med(-) intensity. On the palate, light toast, med(+) acid, med alcohol, light sawdust, lime, med(+) length, citrus finish. Made from vines grown at 549 metres on marl-calcareous soils on East slopes, yielding 4.2 tons/acre. The vine density is 2000 vines/acre. Harvest was on the first 10 days of September. 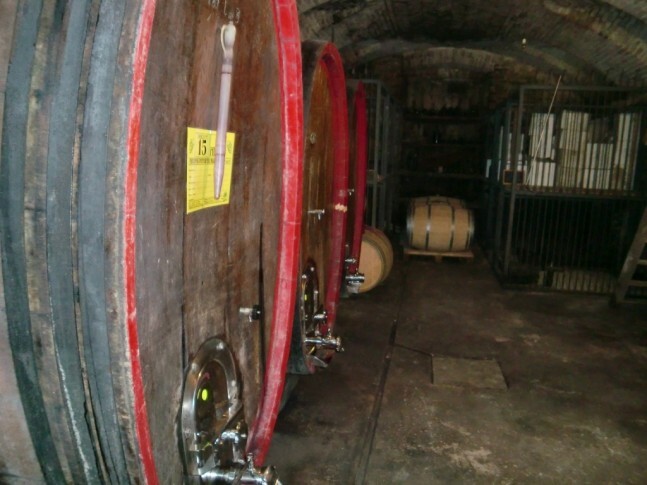 Pinot was fermented in Stainless steel and Chardonnay in 3-4 year old wood barrels. The wines were blended in May and secondary ferment started. After aging on lees for 30 months, comes the disgorgement. 600 bottles in production. Pale green colour. Light cedar, vanilla, slightly lifted on the nose. On the palate, light cedar, sandbox, med(+) acid, med alcohol, grapefruit, med length, slightly restrained on the back palate. 50% of the chardonnays have been in barriques. Riesling was done in stainless steel. Harvest was at the end of September. On limestone-clay soils of 2000 vines/acre at altitudes of 518-549 m. Yields are 2.81 tons/acre with 8000 bottles for production. The chardonnay was first planted in 1987 but its first vintage was in 1990. Pale yellow colour. The nose is lightly minty, delicate, subtle, talcum, med intensity. On the palate, it is mineral, cold tea, high acid, med(+) alcohol, green tea flavours, herbs, light finish in the back of herbs, med length. Good acid. Only grown on 0.75 acres and 2200 vines/acre, on South East exposition of 549 m on limestone-clay soil. Yields are 3.5 tons/acre and harvested at the beginning of October. All fermented in stainless steel with 4-5 days skin maceration. 3000 bottles produced. Pale green colour. Passionfruit nose, lightly honeyed, med(+) intensity, beautiful. On the palate, dry, honeyed, med(+) acid and alcohol, cold tea, orange peel, pineapples and apricots, very good spectrum of flavours. Grapes are from a South-east limestone hill in Ciglié of Serralunga at a height of 50 m. It is usually harvested on the 25th of September. 45 days fermentation with packet yeast at 16 degrees. It remains on lees for about 6 months before bottling. 2006 was the first vintage for the Riesling on the market. Their first Riesling was in 2006. Med(+) purple colour. The nose is cherry, blackberry, med(+) intensity, light rhubarb. On the palate, cherry, med tannins, soft and chewy, blackberry, short length, med acid, med(+) alcohol. I applaud Sergio’s boldness for trying to make Merlot as most Merlots are mediocre. I feel that he has done a good job for his Merlot. The midpalate could be improved and there could be more to offer on the backpalate. Grapes are planted 300 m above sea level with an east exposition. 6 to 8 days on ferment with skins and tranfers to barrel to complete MLF. Anna Marie also makes very good Dolcetto from Dogliani, Barbera d’Alba, and Langhe Nebbiolo. Pale green colour. Unique nose, medium intensity, white pepper, fresh, lightly vinous, light honey. The palate is high acid, medium(-) alcohol, citrus, pomelo, very unique flavours, lemon wedge, long length. This comes from 5 year old vines. Pale green. Beautiful fruit upfront, light bubble-gum, lemon citrus, mint, medium(+) intensity, very impressive. The palate is high acid, menthol, medium alcohol, citrus, lime, med(+) length. A lime finish and slight earthy flavours, mineral. 6 year old vines, Clay and limestone soil. I think the mintiness comes from the fact that these are young vines. The Cantina also makes Moscato, Dolcetto and Barbera from Asti as well as Nebbiolo. Pale green colour with micro bubbles, bright. Nose of lemon citrus, zingy, light and lifted, zesty notes, medium intensity. The palate is citrusy with a zinginess, high acid, lots of limey tang, mineral tones and seashell, medium length, a mineral finish. 20% was barrique fermented and aged in barriques. 17 months on lees. Pale green colour. The nose is fresh fruit, melon, medium minus intensity. The palate is straight forward, med(+) intensity, mineral, melon finish, medium length. The vineyard is from 310 to 400 metres. This will pair well with deep-fried fish. Bright green colour. Light cedar, leesy nose, some beautiful passionfruit characters, complex and excellent quality. A slight aroma of cashew nuts and vanilla. The palate has beautiful flavours, med(+) acid which is showing itself a little but the structure is already present, a good lime and citrus character, spring flowers, light prunish herbaceousness, dates and a long length. From the famous zone of Trezzo Tinella. 20% was fermented in 100% new barriques and 10 months in wood aging. The blend was all co-fermented, even in barriques. Only the Pinot was not co-fermented but pressed separately. This was bottled in 2months before early December. The Cantina makes Dolcetto, Nebbiolo and Barbera from Alba and a late harvest Muscat. They also do Barbaresco. Pale bright green colour. Nose of peaches, light confectionary, medium intensity, melon, some cucumber and light banana. The palate is rich, melony, med(+) acid, peachy, very good acid, long length, lots of peach flavours, and fruit. Cold maceration takes place before ferment for 20 hours on skins at 6-8 °C, and later fermented without the skins at 15-17°C. From the commune Triezo. Matteo also makes Barbera d’Alba, Nebbiolo, and Brachetto. Pale green colour. Medium intensity on the nose, passionfruit paste. On the palate, med(+) acid, mineral, passionfruit, medium alcohol, med(+) length, mineral finish. Deep purple colour. Light herbaceous characters, raspberry notes, bright fruit, blackberry, light cedar, med(+) intensity on the nose. The palate has high tannins, carpet texture, med(+) acid, light cabernet finish, cedar, med(+) alcohol. The wine could use more structure and could be more concentrated. Geovanni also makes Arneis, Barbera d’Alba, and Nebbiolo. Pale green colour. Light lime, citrus, slight petrol notes, medium intensity. On the palate, gum Arabic flavours, high acid, citrusy, lime, med length, light finish. Sand and stony soil on a S-E aspect, steel tank ferment. I found the wine slightly diluted and could do better in concentration.